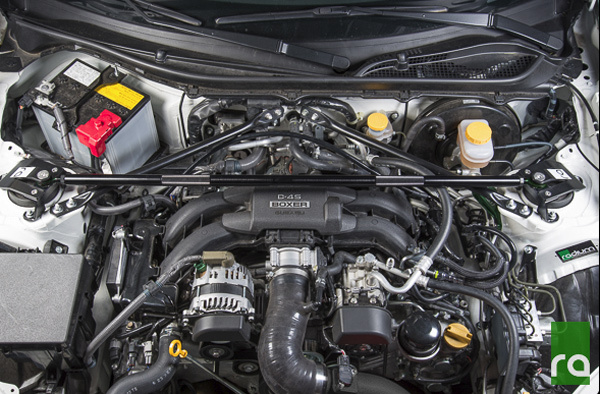 The Radium Front Strut tower brace offers several key advantages over competing strut tower braces. This kit features 6-point mounts that utilize all 6 strut bolts, a raised design that allows clearance for aftermarket upgrades, works perfectly with OEM diagonal braces and features adjustable preload for a comprehensive product designed for the discerning enthusiast. Manufactured in the USA. 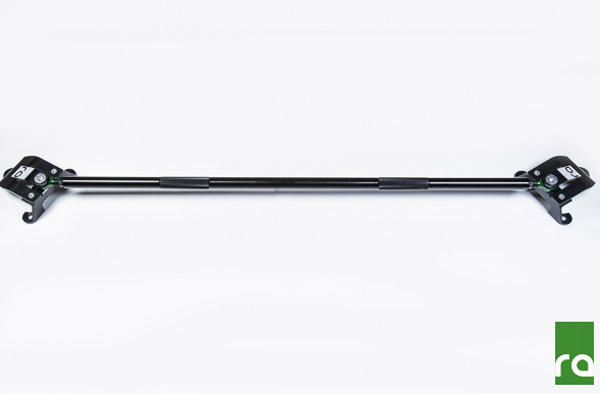 For optimal rigidity, this kit uses a straight 1" OD round bar manufactured from lightweight 6061 aluminum. 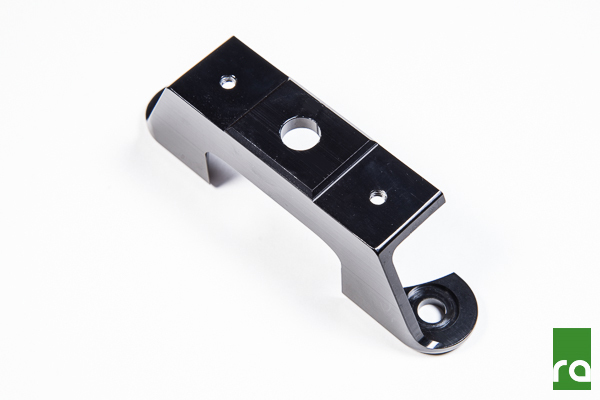 After machining it is anodized for a long lasting attractive finish. The bar does not need to be removed to adjust preload. Simply loosen the aluminum jam nuts and rotate the bar. 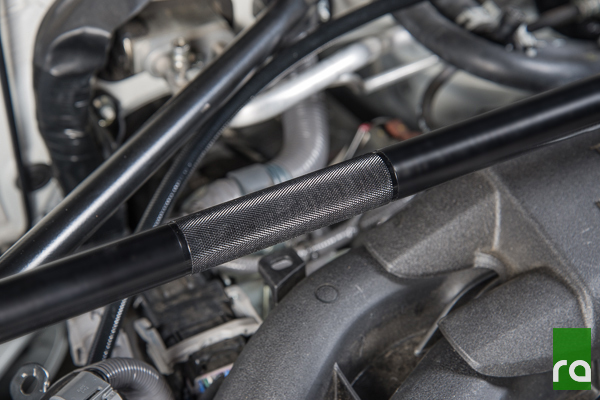 Some strut bar kits on the market use a straight bar which is ideal for rigidity. However, they do not allow the necessary head room required for aftermarket performance upgrades. As shown below, the Radium raised the bar as high as possible to provides ample room (~1.5" above the intake manifold). 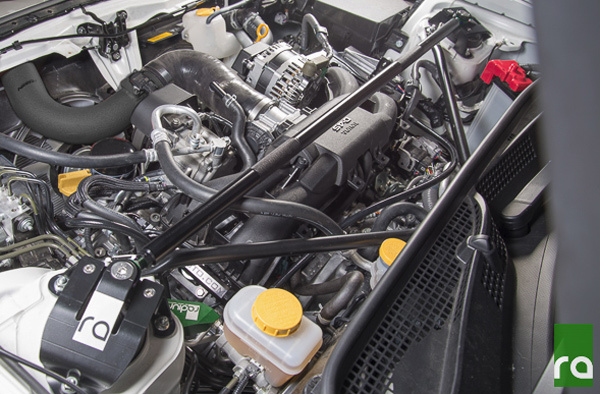 Note: the Radium strut bar does NOT clear the Innovate Motorsports supercharger kit. 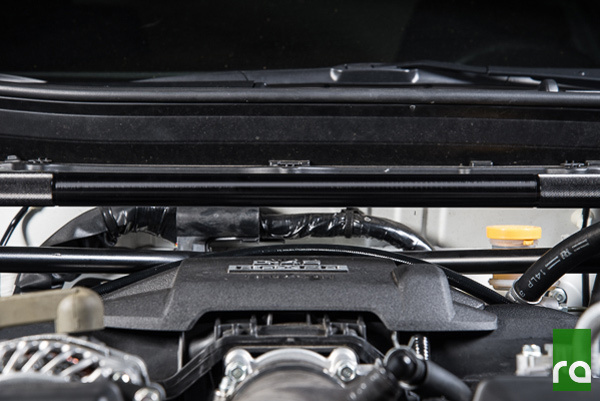 Installating this Front Strut Tower Brace takes just minutes, since this brace uses factory mounting holes and does not require any cutting, drilling, or modifications to the vehicle. Compatible with all left hand drive FR-S, BRZ, and 86 variations as well as manual and automatic transmission models. 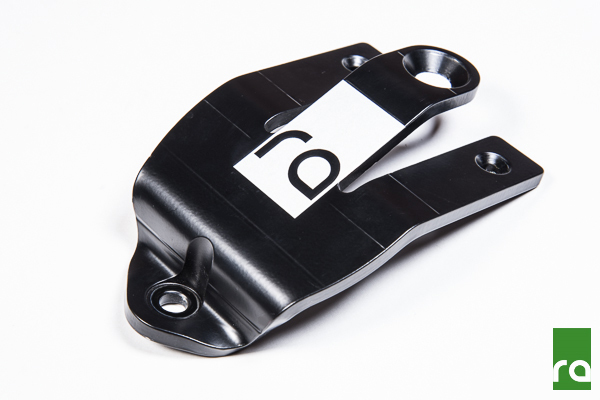 Questions about this Front Strut Tower Brace for Scion FR-S & Subaru BRZ from Radium Engineering? Our Modification Experts are standing by and available to help you, online or by calling 714-582-3330. ModBargains also offers expert installation and can install this upgrade for you. Call today!